Getting Started with MOCs, Tips or Tricks? I have recently returned to Lego after my son fell in love with them earlier this year. It has been so fun getting to see his creativity and excitement grow as he discovers new ways of making things for his imagination to run wild with. It has also reminded me just how much I loved Lego when I was young. I have a few loose bricks left from my childhood that I've been tinkering with. Not much in the grand scheme of things. We've also purchased a few smaller sets for my son. However, as with so much in my life, when I get the bug for something, it becomes an obsession. We just visited the Americana Lego Roadshow at a local mall and my mind has been running ever since. I would really love to get into building MOCs buildings/houses, but don't want to jump in too deep too fast and get frustrated. I've already built 3D models in my computer as well as out of cardboard for what I want them to look like...(did I mention I go overboard sometimes). The reality is that I don't have a lot of discretionary money to go buy 4 modular buildings to scrap parts from and create my own. It will likely need to be a slow process with many orders from Bricklink or local stores (Bricks and Minifigs coming soon near me! ), and I think I'm okay with that. That being said, I felt it important to join a community and try to glean as much wisdom and knowledge as possible to ensure a smoothER ride than if I tried it on my own. So, aside from just looking at created models, reading posts, looking through books, does anyone have a suggestion(s) on the best starting point? Videos or articles I could read? Really anything you'd be willing to share would be of significance to me. I'm fortunate enough the my mind can interpret and digest spacial concepts quickly...it's my lack of Lego knowledge that will likely be my biggest hurdle. Thanks to everyone who has taken the time to read and who may be willing to offer suggestions! A lot of the posts in this section of the forum deal with MOC's. There's one with an ongoing monthly contest you can peruse, one discussing trusted MOC instruction sources - those are just on the front page. Beyond Brickset, check out Eurobricks.com, MOCPages.com and the Lego Ideas page for inspiration. Since it sounds like your MOC-ing will likely be Modular Building or city based, also check out Jangbricks on Youtube. He's MOC'ed some pretty cool buildings lately, from a shopping mall to a hospital to a train station. Hello @Switchfoot55, welcome. I'm a newbie too, and like you recently jumped back in. Couple of things that have helped me in the early goings. Much of which I learned here from folks willing to share their knowledge. 2. Reading books on LEGO (I found digital versions to be cheaper and easier to see with zoom options on my tablet, though some in hardcover are downright beautiful). 3. Google some LEGO blogs and if current follow the ones you like. I like The Brothers Brick and The LEGO Car Blog, New Elementary and some others. I'm still looking for some that give me more opinion and personality over review and showcase. 4. Open a Flickr account, search LEGO and whatever interests you and just favorite and follow the hundreds of talented people you will discover and drink in their work. 5. In addition to the great pages mentioned above, good resources are Bricklink and ReBrickable. There are more but I am scratching the surface myself. 6. Digital or print magazines are great. I'm reading Bricks and BrickCulture and there is another (brain farting right now on the name) that I've been meaning to try. It's adverted on the Brickset main site. 7. I build something every day. When I am not able to build, I read instructions for things I don't have. That's a recent habit. It is just something I decided to try in order to try to better learn the inventory. Thats some stuff. I still am very confused about many, many things. Why are items named differently here than there? Colors too? I know why in some cases there is a lack of consistency but not others. I'm considering actually trying to put together a book for the very purpose of navigating LEGOs world for newcoming AFOLs. But I don't know if I can crack it all by myself. But it's a book that needs to exist if you ask me. Thats some stuff. I still am very confused about many, many things. Why are items named differently here than there? Colors too? Because TLG didn't publish their versions, so AFOLs invented their own. Eventually that changed and some sites adopted TLG versions as they became more publicly available. It's all described, both here and elsewhere. If you're interested, search it out, and you'll also find the answers to questions you haven't asked! It that doesn't work, then ask and somebody will probably fill in the missing bits, although there are also plenty of inconsistencies. I apologize in advanced if you know of few of these tips already. 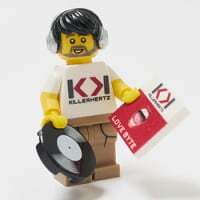 @blogzilly says, used LEGO can be Ok, but lately it seems like there are too many resellers/part sellers buying up those lots which has increased the average price of them. Plus there is the possibility of having to clean the parts as not everyone treats their LEGO well. If buying new: Avoid TRU unless you do your homework to ensure that their prices are really at LEGO's RRP or lower (if on sale). Actually, other retailers are also raising the prices over RRP lately so watch out for 20% off sales of a set that is 20% over RRP. Buying new sets can also be a source of a lot of great parts, but always buy at discount. Typically I use Amazon for most of my LEGO purchases, most times the sets are at RRP before discounts. yoyo.com is a good site (as they are affiliated with Amazon) but watch out for higher than normal RRP there. They typically have promos pop up that can give 20% off of sets that are already marked to 5-10% off. Jet.com apparently is another good place to get new sets in bulk. All in all I say when making purchases, do the math. Typically if you are buying a lot then you want to probably get at least 20% off of sets you buy. I think you picked a good time to get back into LEGO and into MOCing if you will be looking to save a bit on the cost of new sets for parts, as Black Friday and Cyber Monday are coming up and usually there are some good deals to be had (though not like 1-2 years ago IMO). Watch for deals LEGO will have for November and December as they have a few promos going on including double points. If you have a LEGO store near you their Pick a Brick wall can be very useful to get parts needed for MOCs as well, sometimes it is like a square peg in a round hole becasue their part selections are a bit geared toward small models, but they usually get in at least a few 1xX brick that can help with building structures. For ideas, there are blogs, this site, and other sites. There is LEGO Ideas site for inspiration as well. Finally, and arguably most importantly, after looking at some MOCs and their detail or scale do NOT get discouraged to MOC, as it can be a bit humbling when you see some of the stuff folks come up with. @TigerMoth, understood and will keep searching, reading and hopefully learning. That's very hard for me to keep in mind. I haven't really been able to take that first step partially because of our impending move and no setup but also the Intimidation Factor. Sometimes the easy way in is take a set and Mod it and see what you can *improve*. After a bit of practicing with alterations, if you have an idea in mind the chances are it's been done before by someone. Google it up and do it differently, or crib ideas and techniques and make them your own. I think that MOCing from a fairly limited brick selection prevents you from feeling overwhelmed and therefore helps with a little creativity. Mixels are quite high on the novel-use-of-parts concepts anyway - particularly SNOT and suchlike - and I think make a great starting point. No, they aren't buildings, but there is a joy to making fun little creatures too! The book Lego Awesome Ideas has a wide variety of ideas on how to build many types of things/buildings from your imagination.Go to a Barnes & Noble and have a look thru books they have available. "LEGO® Awesome Ideas is an all-new ideas book that unlocks the secrets of LEGO building and shows fans how to create a world with their imagination. Beautifully clear photography and informative text demonstrates how entire models are built up while also providing step-by-step visual breakdowns and offering alternative ways to build models. Explore each chapter as it steadily creates a themed world and ultimately showcases a dynamic diorama of the complete build, showing readers that they too can build up an entire LEGO world from scratch — model by model, brick by brick. With creative model ideas and visual tips and techniques, LEGO Awesome Ideas will inspire anyone, from beginners to accomplished builders." You can also buy multiple copies of a set with a building & use the parts to add a second floor or additional rooms. I almost forgot,a great thread to keep your eye on right here at Brickset is the newly announced Rebrick Modular Buildings contest.There should be plenty of great ideas/examples to inspire you. Both Mr Benn and Mr J had some good ideas in there. Solid. The advice from @blogzilly was a "sherbet" as well.I don't post for the likes,I post for the groans over bad puns. I would also add that you should try to make sone AOL friends in your area. You can start by posting where approximately in Washington you are. If you can find some like minded folks close to you, that can be a great resource for sharing deals. Buying in bulk from jet or yoyo is easier if there are a few people to split up the purchase. Also helps to keep up with local sales / deals. I would also join brickpicker and subscribe to their daily deal thread. That is where i find out about sales most of the time. These are just suggestions to help grow your collection. Flickr is a great resource to get inspiration . I also enjoy Brickjournal for ideas. Thank you to everyone who has taken the time to post.Tons of really great advice and information to get me started. I particularly love the Mixel idea as I already have a handful of those. I think I have just about every Lego book my local library has to offer on hold and due to arrive over the next few months. I think I'll be doing plenty of reading and plenty of building! I also have the (apparently rare) advantage of 3 Lego Stores with decent PaB walls within a 45 minutes drive. I've been doing some homework on stacking techniques. So I'll be watching the walls and will jump when I see something. As a minor side question, do different stores usually have different offerings on the PaB walls, or is it pretty consistent? I found a thread on Eurobricks about PaB with a few local AFOLs. They posted pictures of their hauls and it all seemed pretty consistent as to what was available (seems like I may be too late for those sand green bricks...). Try building in different scales. We get hung up on building minifig scale. If you don't have a lot of parts/space this is a good alternative. Check out the twinlug standard. Check out local thrift/charity shops and stores that don't carry many toys. Locally, Walgreens usually has a very small selection of LEGO, and I have been lucky enough to catch them on clearance for 90% off on several occasions. Keep in mind that thrift-shop inventory changes frequently, so it helps to check back often, or make friends with somebody in the stock room so they let you know when LEGO shows up. PaB walls I think are more consistent now than in the past I think. This is partly due to LEGO, not the stores, controlling what stores get in terms of pieces. In the past, the employees could request certain pieces (and sometimes get them), but no longer. Then the PaB models came out which forces the stores to utilize X amount of bins solely for building those models. HOWEVER, Not everything is on their PaB walls, many stores usually also have parts sitting in boxes in the back, so do not be afraid to ask an employee if they have 1x4 brick in the back, or if you are looking for a specific color of a part, they are usually accommodating. They may not have the part you need/want in any case, but they will usually check. Well, I ran to a couple of local consignment stores today during lunch. The first is one that is kid specific. I saw a gallon size bag of bricks for $20. I'm still trying to wrap my head around what is a reasonable price and what is outrageous. I'll have to test at home how much a moderately full gallon bag weighs. I've heard $5-$6/lbs is about right? I also ran to a larger community chain store. I happened on a little bag of bricks for $7. The item that caught my eye was the coal car from the Hogwarts Express Train set. Obviously it has nothing to do with MOCs and my original post, but I thought that would be worth at least the $7. They had several bags of sorted bricks behind a counter too. Green, Blue, and Yellow. They were all $12-15. Maybe I can luck out and go back on a 50% off day. My plan is to check out my local Lego store and see what's available. I'm realizing my current bricks don't stretch quite as far as I thought they would...time to start buying! ^Bags like the one with the coal car are the reason I have so many partially built sets. Occasionally I find a complete set, but more often I find 2 or three sets that are jumbled together and then spread across multiple bags. If there's a bag missing, I end up with several sets missing pieces - but that missing bag sometimes shows up on the shelf a week or two later. I end up buying just about every bag I find in my favorite shop, since a $5 bag could have a pound or two of random parts, a couple dozen minifigures, or parts to go with a bag I picked up on a previous trip. To me, content matters a lot more than weight. Ohh, also a good source of brick and some other parts will be the yearly black Friday sale on large part sets at Walmart. They are pill to get (had to order mine online at 5am last year) but if you are an insomniac or like large crowds you can try online or go to the stores to get the large part sets.